Offering unique design services is a challenge, whether you’ve been in business for years or are just starting out. 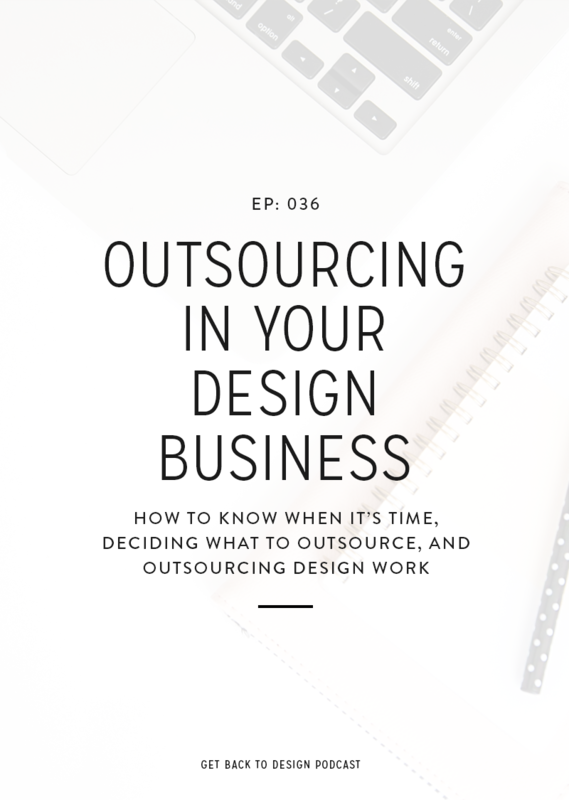 It’s common to feel like you need to offer the same types of design services as everyone else – especially the people who are seeing great results and growth in their business. 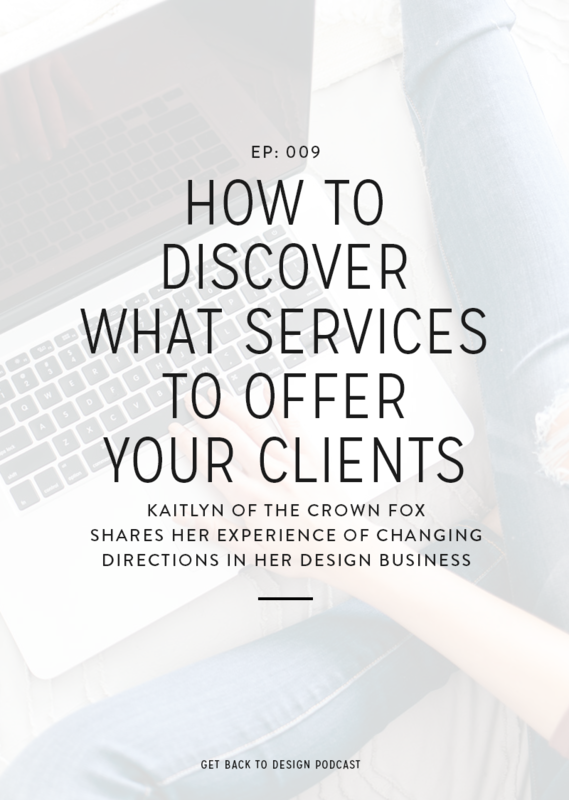 In today’s episode, we’re chatting with Kaitlyn of The Crown Fox about how you can find out what you really want to offer to your clients to make you happiest, get your clients results, and make your business stand out from all the other designers out there. Kaitlyn started her business the way a lot of designers tend to. You see a few websites offering branding or website design along with a general price range, and decide to go for it. 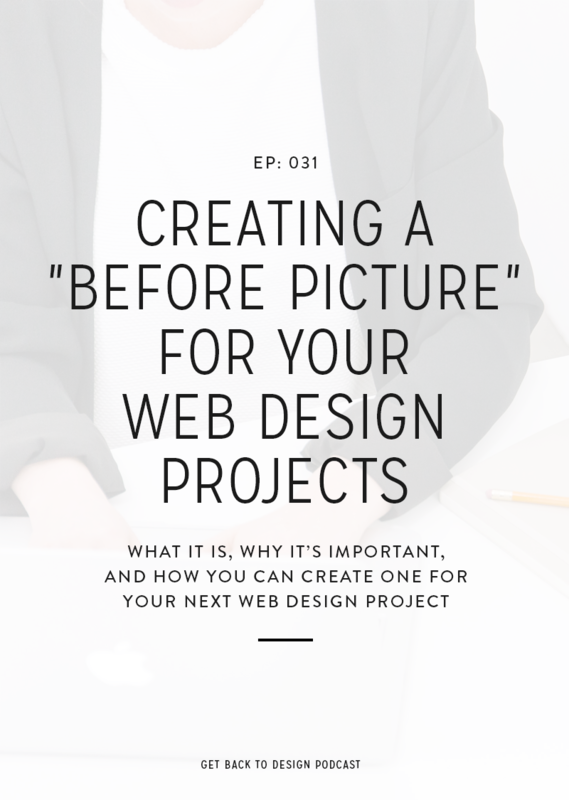 She jumped in by offering branding and Squarespace websites like a lot of the other designers she was seeing around. However, even though she had good clients she didn’t feel fulfilled in the way she always expected to. Even though she loved branding, she realized she didn’t like doing branding for people on her own. Even though Kaitlyn knew she wasn’t doing the right thing, she was very resistant to the change at first. She tried to power through and keep going, while trying different things to see what stuck. If you’ve followed her for a period of time, you might be surprised to learn that she was even looking for full-time jobs for a while. 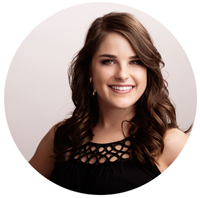 During a conversation with a dream client that she was doing retainer work for, Kaitlyn mentioned that she wished she could work with all clients like her…and that’s where the real transition started. She quickly started signing on more retainer clients and knew that she was meant for a design assistant role, rather than a web or brand designer. Kaitlyn transferred between her two types of services in a way that she wouldn’t necessarily recommend to others, but she completely stopped accepting the types of projects she had been doing. Even though that meant she didn’t know where money would be coming in, she decided she was done. However, everything seemed to line up perfectly and as she was wrapping up her final two projects, an amazing new client found her way through the door. Instead of completely cutting off your work before having new clients lined up, Kaitlyn recommends slowly making the transition. So while finishing up a current project, also spend time marketing your new services and signing on new clients. 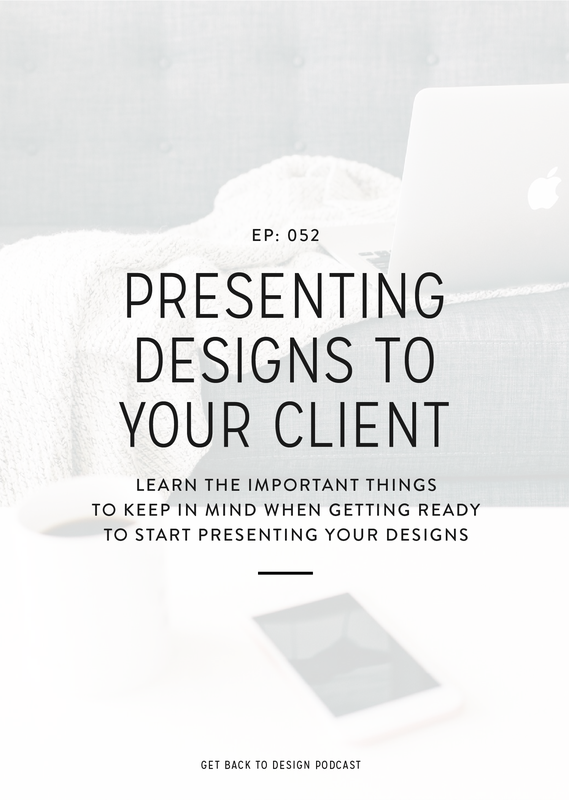 She also recommends that you give any longer-term clients that you’d no longer be working with a heads up that things would be changing and a referral to a new designer. If you listen in to the episode, you’ll learn that Kaitlyn filled up her new spots pretty quickly. She credits this much to the fact that she stood out to people as a graphic design assistant and was exactly what they needed. The word choice she used in crafting her new title was huge. 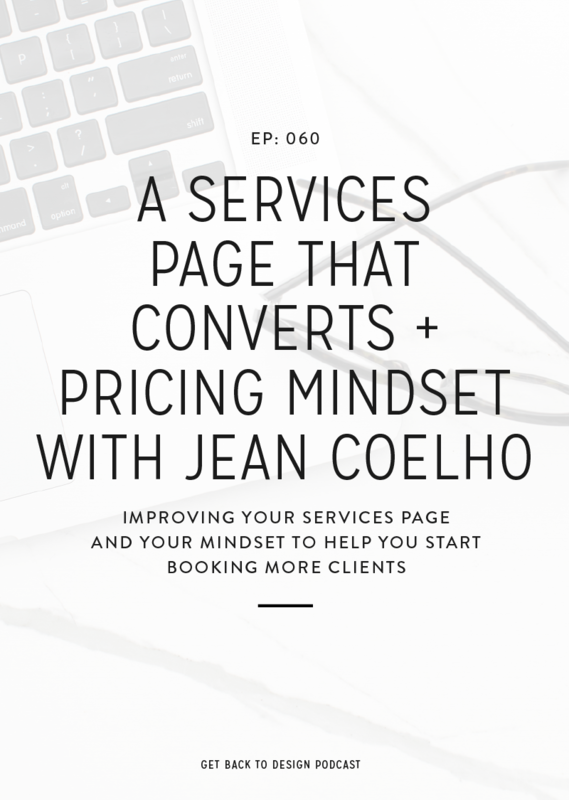 When coming up with your own unique service offerings, rather than trying to be creative in your name, consider what exactly your dream clients would be looking for if they needed someone like you. Since finding design offerings that she really loves, Kaitlyn has found herself working a lot more – but in a good way! It’s crazy how much more excited you can be about your work when it really lights you up and is exactly what you want to be doing. 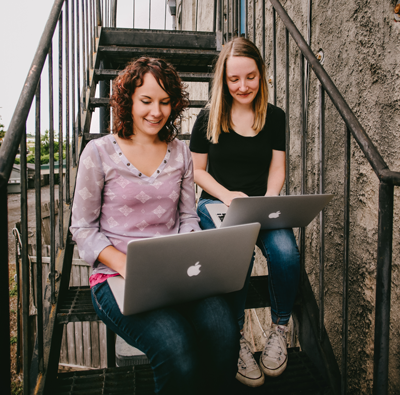 Because of working more on projects she loves with the perfect clients, Kaitlyn has also found herself feeling more motivated, productive, and happy overall. Kaitlyn is a graphic design assistant to creative entrepreneurs. She’ll handle anything you need visually, while you keep growing your empire!